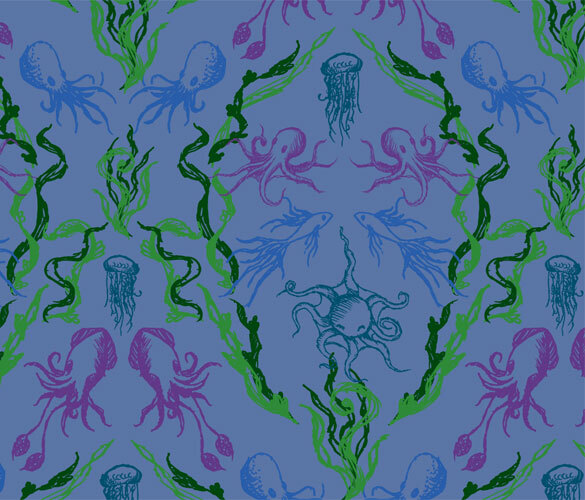 I can almost imagine sleeping in a room with one wall papered with dancing octopi, squid and jellyfish, all swimming in their Victorian frame of swaying seaweed. Though, actually, once I get the colors adjusted to my satisfaction, I may upload the design to Spoonflower and see about making some pyjama pants out of it, so I can sleep cool in my underwater dreams. I drew the individual pieces up with pen and ink, and then scanned them in simple black, adding color as I worked with the design. There’s no original per se for this one, just a bunch of sketches in a couple of sketchbooks. At some point I’ll need to crop just one panel out for repeating properly, but I want to adjust the blue background and purple squid first. 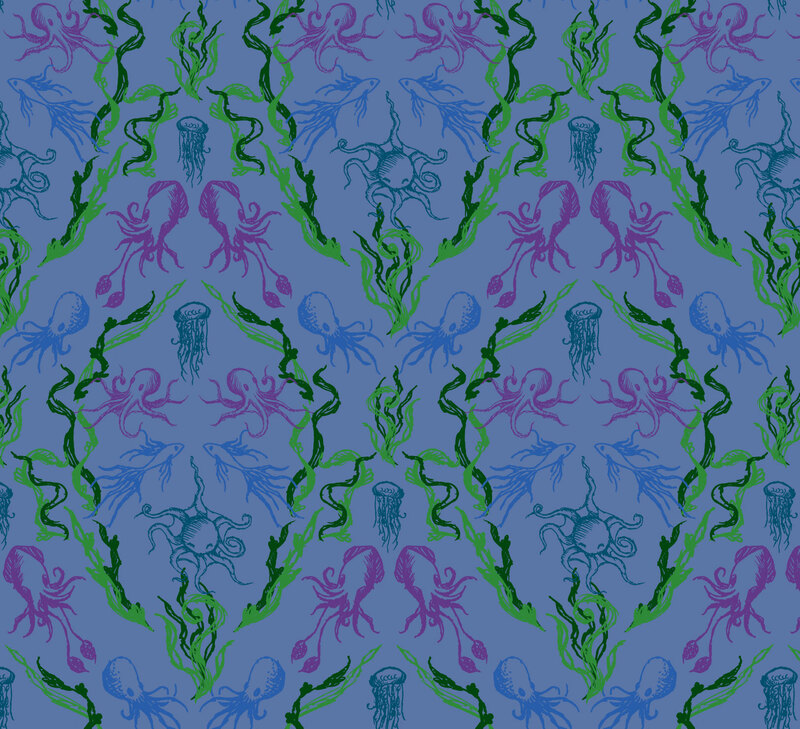 Now you can better imagine the Octopi as wallpaper/curtains: Click here! Are you a current Spoonflower person?